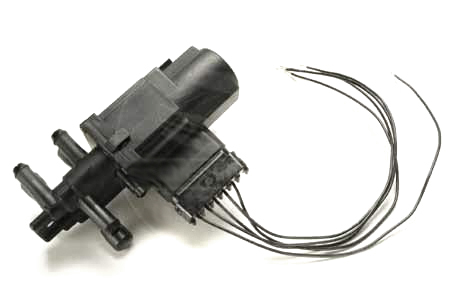 High capacity electric fuel tank selector, capable of directing fuel from 3 or 4 tanks! Fits 5/16 fuel hose. This is perfect for Travelalls and pickups that can have as many as 4 factory fuel tanks. This is also good for diesel vehicles, and for pickups with additional tanks in the bed. Uses GM-style watertight connector.